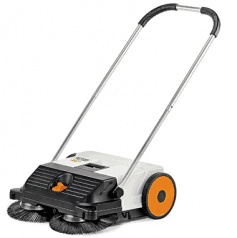 With the efficient STIHL MultiClean sweeping system for sweeping up all kinds of debris. 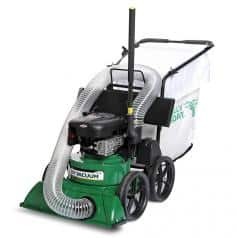 The intelligent sweeping concept prevents even large bits of debris. 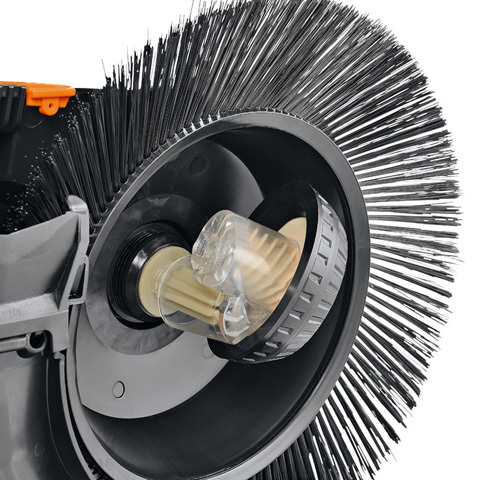 The intelligent sweeping concept prevents even large bits of debris from getting stuck under the tool. With central height adjustment for sweeping all kinds of different suregaces. 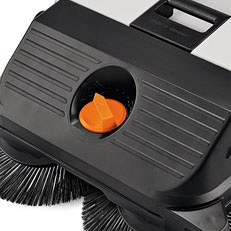 The durable nylon bristles come with a four-year warranty. 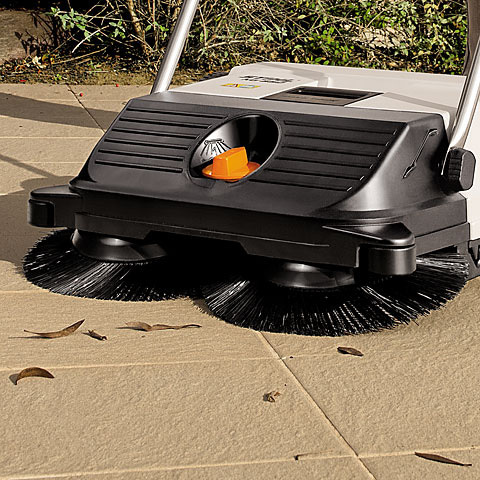 Ideal for sweeping around the outside of your home. 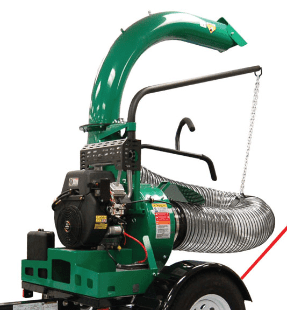 Ensures the sweeping machine can handle all kinds of dirt. Cans, plastic bottles, heavy and wet debris are no problem. 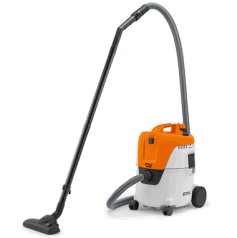 The sweeper can be adjusted for different conditions and surfaces with one swift movement. 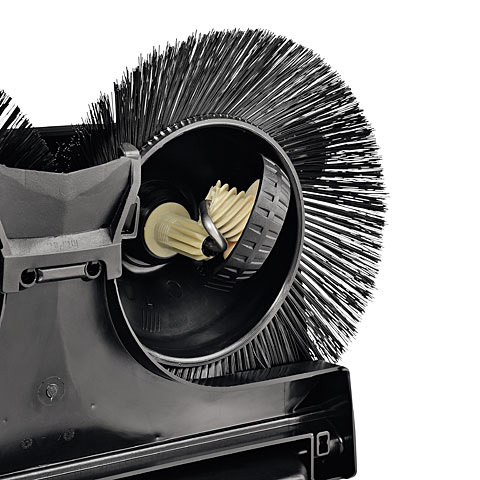 The height adjustment also allows the brush height to be adjusted over time to compensate for brush wear, thus always giving the optimum sweeping performance. The bristles are made of durable nylon and come with a four-year warranty. 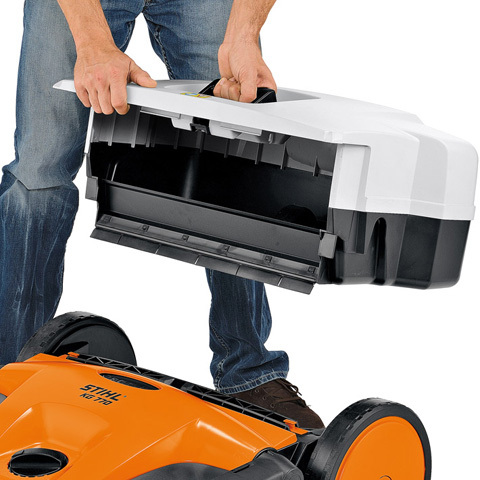 The spacer rollers at the sides guide the machine when sweeping along objects such as walls or kerbs. This also serves to protect both the sweeper and the wall from damage. The impressively spacious container holds a large amount of debris but takes up very little space. 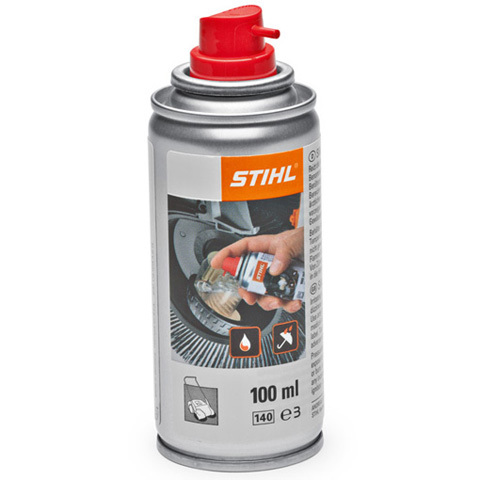 The tool can be stored upright on the container to save space, without spilling any dirt.